In April, Tonga’s Fekitamoeloa Katoa ‘Utoikamanu was appointed the United Nations’ High Representative for the Least Developed Countries, Landlocked Developing Countries and Small Island Developing States and Under Secretary General, making her the highest ranking Pacific Island person at the UN. Ms. ‘Utoikamanu has a wealth of national, regional and international experience in various senior leadership positions. Prior to her latest appointment, she was Chief Executive Officer of Tonga’s Ministry of Tourism, and served as Acting Pro-Chancellor and Chair of the Council of the University of the South Pacific in 2015. Between 2009 and 2016, she served the same University as a member of Council, and since 2012 as Deputy Pro-Chancellor and Deputy Chair of Council. She served from 2009 to 2015 as Deputy Director-General and Director of Education, Training and Human Development at the Pacific Community (SPC). Ms. ‘Utoikamanu worked for the Government of Tonga for twenty six years, and between 2005 and 2009, she was her country’s Permanent Representative to the United Nations; Ambassador to the United States, Cuba and Venezuela; and High Commissioner to Canada. From 2002 to 2005, she was Secretary for Foreign Affairs and the European Commission’s National Authorizing Officer for Tonga. 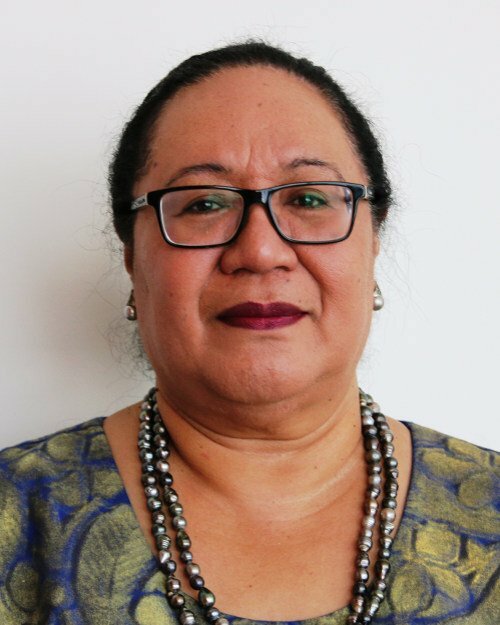 Born in 1959, Ms. ‘Utoikamanu holds a bachelor of commerce and master of commerce in economics from the University of Auckland. This portrait of Fekitamoeloa Katoa ‘Utoikamanu was first published by the Pacific Community for the 70 Inspiring Women campaign, it is reproduced here with their permission.